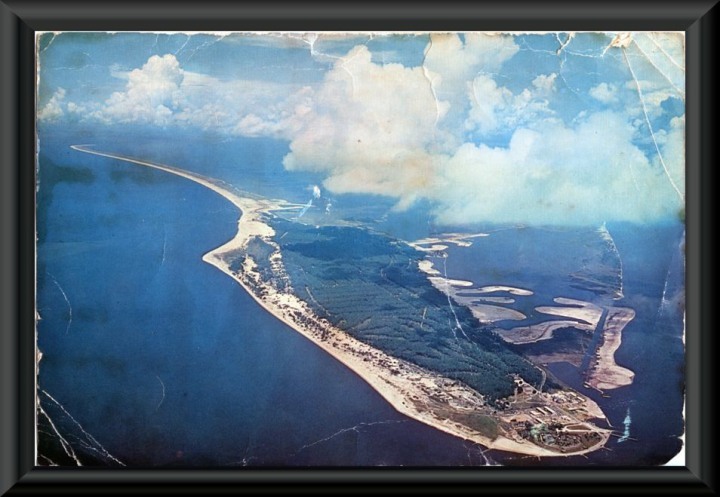 Above is the Radar Site on the East end of the Dauphin Island taken from a 1962 postcard which is shown in full size. Should anyone have a better copy of this card - please contact me to arrange getting a new scan of it for inclusion here. The enlarged area shown below is of the eastern end of Dauphin Island. You can see both Fort Gaines (Established in 1821) at the tip on the water line and adjacent to it, the 693rd Radar Squadron as it appeared in 1962. These two pictures are from a 6 X 9 inch postcard published in 1962. The distributor was Dexter, Inc., and the card or print number is 30361-B ~ PH68535. Published by Thigpen Photocolor, Inc., 163 State Street, Mobile, Alabama. of the Alabama Gulf Coast". Next reunion will be in 2021.
a lot more but we cannot find their info to post here. PLEASE check to see if your information is currently up to date. so that we might update your personal listing. In this listing, a lot of names appear and no other information is shown. them send in the rest of the information in the online form above. Remember when this hung on the dining room wall! One of the many emblems over the years. Remember this dining room tray? Current Dining Hall Manager for display. This tray was donated to our group of Airman and it was then placed in a real nice custom shadowbox. This was then presented it to the current Dinning Hall Manager for display on the wall & it is now on display. If you are on the island - stop by and see it and the new dinning room! You can also stay for a meal as well if you like. The meals are really good. Make sure you get the menu for the day and also the serving times. If you have a military ID Card then you are entitle to a military discount for your meal. IF anyone that has any pictures of the Radio Maintenance / GATR TX and RX Radio Sites, please get in touch with Robin and make arrangements to get copies of these pictures to him for posting on this web site. Thank you for your help. 2006 & 2012 Reunion on this link. Airman Sully O'Nellion made 2 DVD's of the Reunions. These include pictures, comments and a short 1964 8mm movie. You can view them on line as I edit them to be legal due to music that he included on the videos. Your copy of the DVD copy will have the music as Sully did in the DVD. (2018 Photos) What remains of the GATR TX Site after Katrina ! Not Much ! Does anyone have any pictures of the old Transmitter Site on the beach? No sign of anything that was the TX site is now left. All gone! (2015 Video 10 minutes) A drive across the New Bridge to the Dauphin Island's Water Tower. Remember that this was a causeway and a draw bridge until Katrina took it out and it had to be totally rebuilt. (2015 Video 17 Minutes) A drive starting at the West end of the island and going to the East end of the island. This shows the damage that Katrina did to the homes on the narrow west end of the island. Also it cut off about 1/4 of the West end of the island. This part is now cut off from the main island though you can still walk across at low tide. 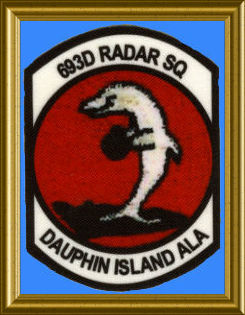 (A Video 15 minutes) A collection of photos of the 693rd Radar Squadron and the areas found around Dauphin Island, most dating back to the early to mid 1960's. 693 Radar Squadron (AC&W) History Page on: www.radomes.org Note: Errors have to be corrected by contacting them. They offer no on line correction capability other than to change your email address.